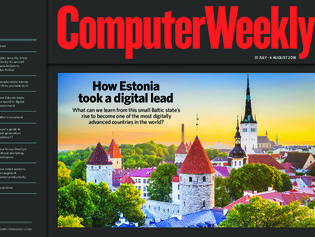 In this week’s Computer Weekly, we look at one of the world’s most digitally advanced nations, Estonia, and ask what the UK government can learn from this small Baltic state. We talk to Airbus about how aircraft manufacturers are prioritising cyber security. And we examine how AI and robots will augment – not replace – human productivity. Read the issue now. In the second part of our buyer’s guide to next-generation desktop IT, we look at DaaS and VDI options to find out whether it makes sense to move the desktop to the cloud. Enterprise DevOps adoption rests on securing buy-in at all levels of the company, but developer support is not a given. Toronto focuses on artificial intelligence to draw in international talent and boost IT industry.